Passing the Kentucky written exam has never been easier. It's like having the answers before you take the test. Our step-by-step process is easy to follow, making your permit application a breeze! Get yourself prepared BEFORE you visit the MVL. In Kentucky, the Transportation Cabinet's Division of Driver Licensing (DDL) requires all teenagers to complete the graduated driver licensing (GDL) program in order to obtain a driver's license. The first step of the GDL program is to obtain your learner's permit. While you have your permit, you can begin supervised driving practice, but you must follow certain restrictions. This page includes information on how to apply for your learner's permit, what restrictions you must observe, and how to move on to your full KY driver's license. If you've recently moved to Kentucky, you have 30 days to transfer your out-of-state driver's license or learner's permit. Submit a School Compliance Verification Form (from your school), if you're under 18 years old. Submit a completed Driver License – ID Card Application (Form TC 94-30). Surrender your out-of-state driver's permit/license. Pass the written and eye tests, if your out-of-state driver's permit is not valid. Present a current driving record, if your out-of-state driver's permit has been expired for 1 year or longer. Pay the fee (contact the KY DMV for more information). NOTE: You must be at least 16 years old to obtain a driving permit in Kentucky. Any restrictions from your previous state will be transferred, and you will have to complete a driver’s education course if you have not done so previously. A completed Driver License – ID Card Application (Form TC 94-30). Kentucky residency (e.g. mobile phone bill). Social Security number (e.g. Social Security card). Full name and date of birth (e.g. birth certificate). Your parent must give consent by signing your application form. You must also submit a School Compliance Verification form issued by your school. High school Driver’s Ed course or a similar course provided by a KY community college, job corps or vocational school. Private driver training course provided by an approved driver's training school. For more information, please refer to our Driver’s Ed in Kentucky page. To obtain your Kentucky learner's permit, you will need to pass a written exam. You will be tested on your knowledge about traffic laws, road signs, and safe driving techniques. The questions on the exam are based on information taken from the Kentucky Driver Manual. In order to pass the test, you'll need to answer at least 80% of the questions correctly. If you do not pass the permit test, you may retake it the next available testing day. If you fail the road test, you are required by law to wait 1 day before you can try again. 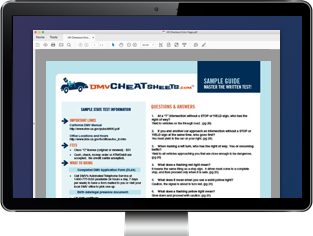 To help you prepare for the test, the DDL provides a basic practice test. If you really want to ensure passing on your first attempt, we suggest using an industry-leading online practice test from our certified partner. No driving between 12 a.m. and 6 a.m. unless it's for an emergency, or school or work-related issue, if you're younger than 18 years old. You must not have more than 1 passenger, who is unrelated, under 20 years old, if you're under 18 years old. You can ONLY drive while accompanied by a licensed driver who is at least 21 years old. They must be seated next to you. All occupants in the vehicle you're operating must wear seat belts at all times. Before you can move on to your intermediate driver's license, you must practice supervised driving with a licensed adult who is at least 21 years old. If you're under 18 years old, you must complete a minimum of 60 hours of practice driving, with 10 hours at night. You'll need to keep track of these hours using a Practice Driving Log. Have held your learner's permit for at least 180 days. Have completed your behind-the-wheel driving requirements (see above). Have successfully completed a Driver's Ed course. You must not have committed any serious moving violations or have had your Kentucky learner's permit suspended. For more information please refer to our Applying for a New License (Teen Drivers) page. The DDL application for a KY driver's license OR identification card. Teen drivers must provide this form to prove their enrollment in school as part of applying for a Kentucky learner's permit or driver's license. Must be obtained from the school. Not available online. Looking for Drivers Permits in another state?